Rishikesh is called “the place of the world“. There are many places of yoga, which attracts tourists to themselves. It is said that liberation & salvation can be attained by Yoga and meditation. 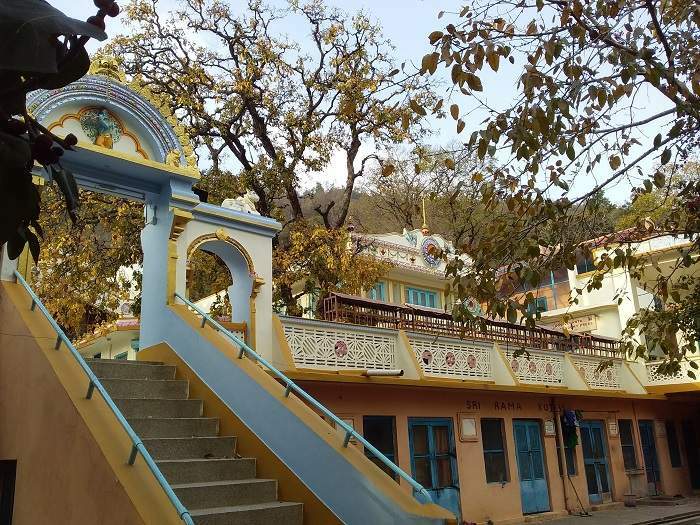 Rishikesh, the 133-year-old Kailash Ashram is home to Brahmavidypeeth, dedicated to the protection and promotion of Vedantic culture. At this place, Swami Vivekananda, Swami Ramatirtha, and Swami Shivanand ji received knowledge. There are many yoga sites and ashrams have been built here, which are popular for yoga and meditation. 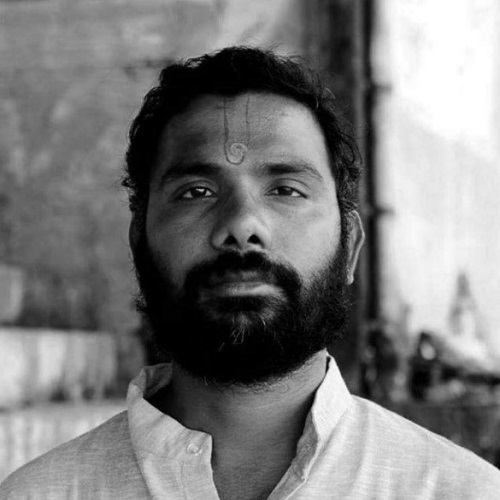 Here, Muni Ki Rati, Parmarth Niketan, Shivanand Ashram, Omkaranand Ashram, Swargashram, Anand Prakash Ashram, Andhra Ashram, Himalayan Yoga Ashram, Madhuban Ashram, Nirmal Ashram, Phool Chatti Ashram, Osho Ganga Dham Ashram, Seekak Gram Ashram, Swami Dayanand Ashram, Wanaprastha Ashram is the main. They have great importance here. Every year, people come from all over the world here to do yoga. Some Ashrams are very famous like Yoga Niketan, Omakarananda Ashram, Sivananda Ashram & Parmarth Niketan Ashram. Rishikesh‘s atmosphere is the European type. The weather here varies from time to time and tourists can come here anytime in the year. But the best weather here is from mid-September to May. Rishikesh For River Rafting – The cold (from October to February) temperature ranges from 19 to 27 degrees Celsius, which is very good for walking, people can enjoy rafting at this time. In summer (from March to June), the temperature here is 35 to 40 degree Celsius. People like to go for rafting too much due to summer. But in the evening there is cold and people feel happy at this time. Here people enjoy rain in monsoon (from June to September). Rishikesh is a very beautiful place, which is hot in the summer and cold in cold. Rafting happens around the year in Rishikesh. Jolly Grant is the closest airport to Rishikesh, Dehradun. Here is a direct flight from Delhi, Lucknow. Taxi from Rishikesh to this airport is easily accessible. To get to Rishikesh, bus runs from Haridwar, Dehradun, Delhi, which is of every kind. Near Rishikesh, the railway station is Haridwar, from where the train is attached to every corner of the country. Here is a religious place, which is very important and people from all over the country come here every year to visit here. 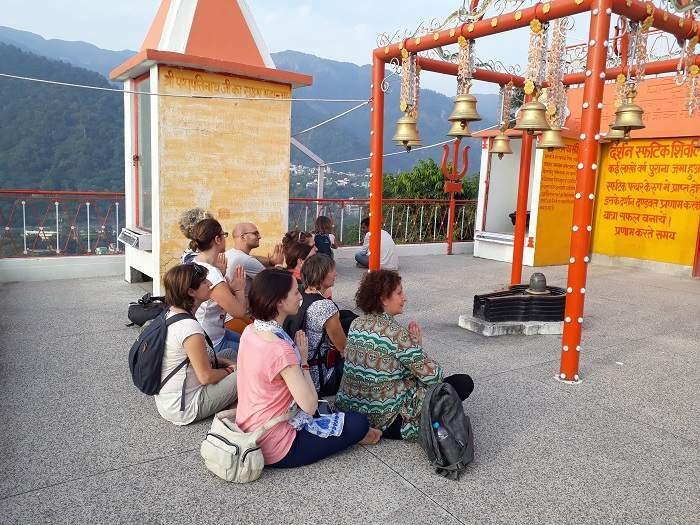 Tourists are visiting continuously around the year to the Kunjapuri Devi Temple, which is dedicated to Goddess Kunjapuri from the premises of the temple one can see the delightful scenes of Garhwal hills. You can see many important peaks such as the Monkey Punch (6,320m), heaven Henchmen (6,248 m), Gangotri (6,672 m) and Chaukhamba (7,138 m) in the north. In the South direction of the Himalaya like Rishikesh, Haridwar and these cities can be seen from the temple here. This temple is one of the Siddha Peeth out of 52, is located in Rishikesh Uttarakhand. 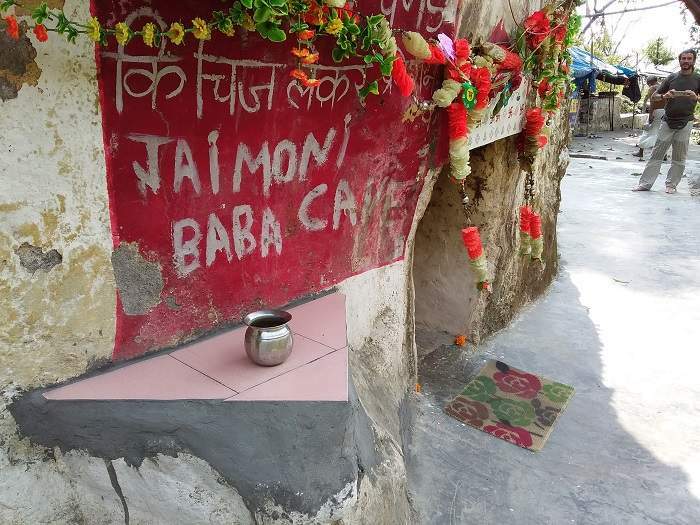 In the simple whitewash cemented entrance of the temple, a board has been displayed in which it has been written that this temple has been presented by the 197th Field Regiment (Kargil). Three hundred eight concrete stairs reach to the temple. The main entrance of the temple is built with the statue of the lion & lion is riding by goddess Kunjapuri and with the elephant’s head. Kunjapuri temple itself is white. However, some parts of it are dyed in bright colors. 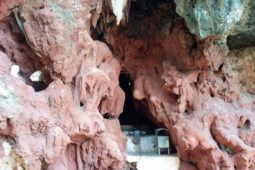 This temple was renovated from 01 October 1979 to 25 February 1980, there is no statue inside the temple – there is a crater – it is said that this is the place where the Kunja fell & since then Kunja is being worshiped here, whereas a small statue of Goddess is placed in a corner of the temple. The idol of Lord Shiva along with the idols of Bhairon, Mahakali Nagraj and Narasimha are found in the temple premises. And Aarti is organized daily at 6.30 am and 5.00 pm to 6.30 pm in the temple. Uttarakhand is a popular place for having many temples. 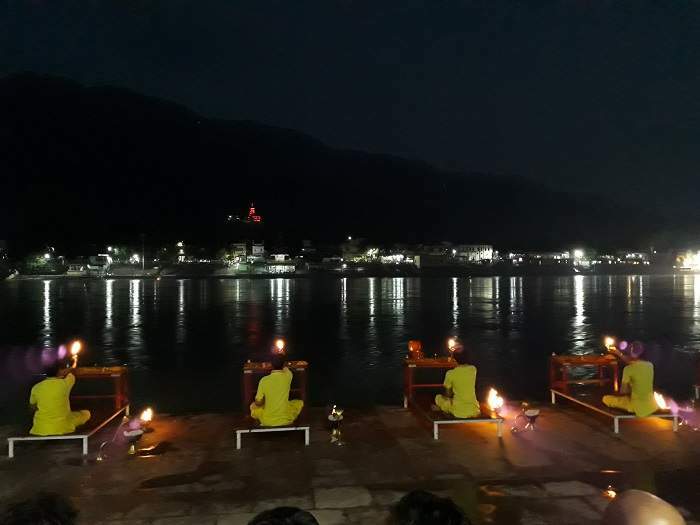 Particularly in Rishikesh, these temples are a place for tourist attraction from all around the world, not only from India but from abroad as well. They have a rich heritage along with a rich story behind its formation. Below I have discussed three temples which are an epitome of beauty and Indian craftiness and the stories associated with it. Someshwar Mahadev temple is located in the Sankri village of Uttarkashi in Uttarakhand. Direct bus service from Dehradun is available to reach to Sankri. This is a popular temple dedicated to Lord Shiva. It is named by combining the names of Raja Som Chand and Maheshwar which makes it more interesting. It is a popular tourist spot especially for religious devotees to deepen their faith. This place has a great religious significance which inculcates a sense of peace and faith among the visitors. The local culture of the temple makes it home to celebrate local festivals and arrange fairs regarding religious beliefs. The Someshwar Mahadev temples architecture is breathtaking and those who encounter it in real life can truly spectate the work of pure wooden art. The walls are crafted with Deodar wood by local artisans which depicts the rich culture, heritage, and history of our incredible India. The temple gate is made of shining metal whereas the rooftop is made up of ‘Pithal’(which refers to flat slim stones in their local language). Overall, the area of the temple is planned in a very beautiful manner with sitting area, benches and a lot of space for people to enjoy and embrace the beauty of the temple. Another temple dedicated to Lord Shiva is Virbhadra temple. It is located in the Virbhadra town of Uttarakhand. we can reach the destination by the local train station which leaves us at the Virbhadra station. From there the temple is 2kms away. this temple is famous for its long night Jagrans and special poojas held at the time of Shivratri and Sawaan. It is a very old temple where the personification of Lord Shiva, Virbhadra is worshipped.according to Hindu mythology when goddess Uma felt insulted by her father for not inviting her husband Lord Shiva for Yagya at Haridwar she immolates herself by jumping in the Yagya Kund. This was her act towards the dishonor for her husband. Hearing this Lord Shiva pulled out his hair and thrashed it on the ground in anger which resulted in the birth of lord Virbhadra. This temple is located in the Rishikesh region of Uttarakhand. It is also dedicated to Lord Shiva. People from all around the world including abroad gather here to attain salvation, relief from diseases, gain knowledge and inner peace. It has a beautiful love story which led to the Chandreshwar temple. It was built by the king ram Singh who after the name of his wife Chandravati named this temple. This temple is an example of pure beauty. The doors of the temple are etched with “Pithal” in such a way that a person can encounter its beauty even with the gates closed. It has “Shivling” which is bought from the Narmada river. So these were some of the malicious temples with beautiful stories behind them in Uttarakhand. Although every temple has its own story and rich in its own way. And, our India being rich in heritage have a rich culture which is depicted in every corner of India. 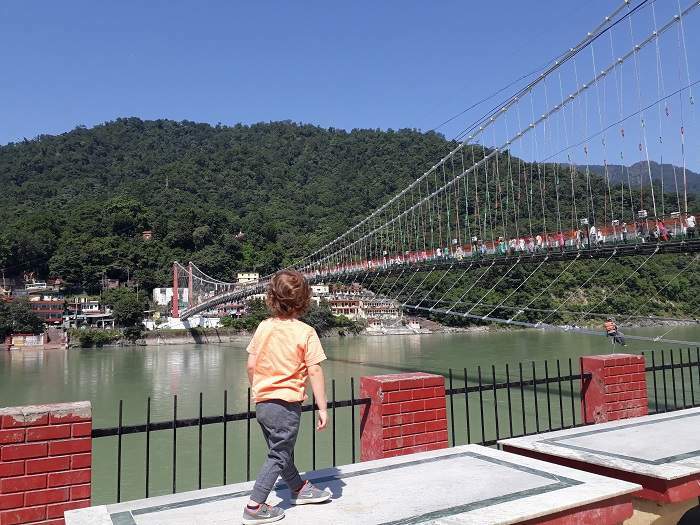 Rishikesh lies in the area of ​​the 2 bridges that make it so famous. it could only be the ideal gateway to vast Himalaya – a less painful transition than suddenly falling in Delhi or Calcutta, for example – is also the mecca of those who want to start or deepen the yogic teachings. The spirituality in this locality is its oxygen and although you are not a yogi, you breathe it and it crosses you. If you are accelerated of life, like me, Rishikesh is the perfect refuge to lower the changes and invites you to camouflage yourself in its calm pace to calm your mind, your body and your spirit. 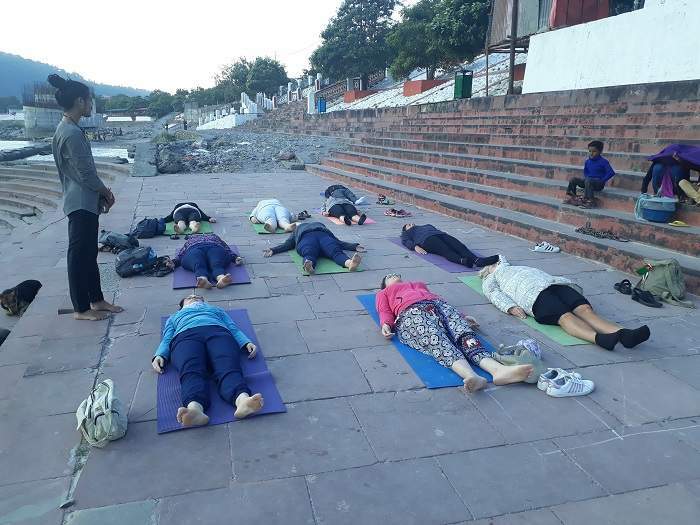 If there is a place in the world where to start meditation, that is Rishikesh: it offers the ideal context to practice this millenary discipline. You can take courses or practice it in ashrams, private centers, public meetings, by the hand of a guru (care that is not “cheap”, which abounds in the area!). Take the opportunity to learn to live more in the present and focus on your breathing … even if you do not go much on the roll, try it will not hurt and you will live an experience “typical Indian”. Hand in hand with meditation, there is Yoga and this small hippie enclave is the ideal place both to start in this practice and to perfect the technique … you are standing in the city of yoga! The mecca yogic is concentrated in a few square meters and at each step, you will find posters announcing all kinds of styles and courses: Hatha, pranayama, Kundalini, Ashtanga, Iyengar and even yoga of laughter! Do not miss the opportunity to try a class in the cradle of this millenary practice. Even if you’ve been to Varanasi and seen the ceremony there, Rishikesh’s has nothing to do with it. Here people congregate under the gaze of the huge statue of Shiva, to sing religious chants (bhajans) and mantras, light candles at a ritual of purification, gratitude and homage to Ma Ganga. This is another spiritual experience that soaks the lives of locals and national and foreign tourists … it is a ceremony in communion with the audience! 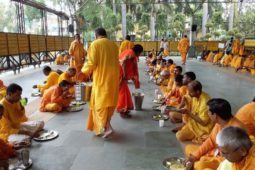 It is celebrated every afternoon, about 5.30 (winter) or 7.00 (summer), depending on the time of year you attend, in front of the Parmarth Niketan Ashram, one of the most prestigious yoga centers in India. If you have not had the experience of eating in an ashram yet, do not miss the opportunity in Rishikesh. One of the ashrams that offer free food is Prem Baba at 1:00 p.m. and 9:00 p.m. (located on the other side of the Laxman Jhula bridge). 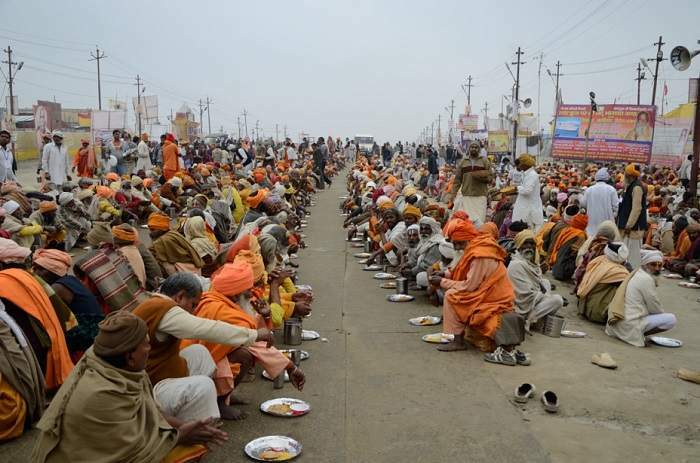 Hundreds of people line up to take their plate, glass, and spoon -only utensil- and they sit on mats on the floor, side by side, to receive the meal of the day and eat in communion with the rest -in silence-. Everything that the Liverpool 4 did or played became a gold mine. The Beatles spent a season during the winter of 1968 at Maharishi Mahesh ashram, now abandoned, and there they wrote many of their most emblematic songs (they say about 50 songs!) Including many in the White Album. Although for many years the site was abandoned and tourists could sneak in to visit it, now – and after many litigations the government has kept the property and they charge the shocking sum of 600 rupees (9us $ or 8 €) to access and walk among the more than 100 meditation posts that are shaped like a Smurfs house or something. In spring and summer – although part of the autumn also – a walk through nature to the Neer Garh waterfalls about 4 kilometers from Laxman Jhula, is ideal to get away from the madding crowd and have a picnic or take a dip -fresh- in the middle of the jungle! 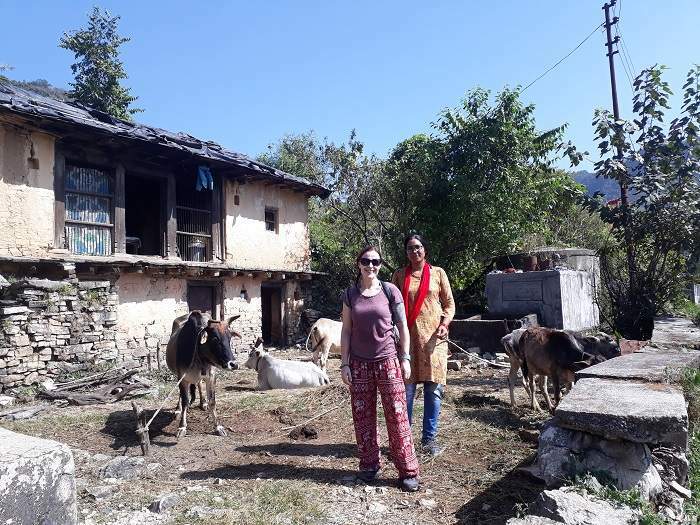 This walk along a small section of the river Ganges is quiet, bucolic and full of beautiful little places to sit down to rest, watch the local activity … for example, watch a cow “knock on the door” in its owner’s house so that let her in to eat! I swear I’ve seen this at least 4 times! On one occasion I asked the man of the house why the cow knocked on the door and told me that he wanted to eat! If there is anything that characterizes the charismatic and popular city of Rishikesh is its public life. In the Ghats everything can happen: a cow stealing food from a clueless tourist, ear wax cleaners, gurus sitting meditating or sharing with other gurus a meal by the river, dogs asking for food from the gurus or anyone else there Actually, tourists on a walk or rafting on the river, locals chatting, vendors, children playing, people praying or making offerings to the river … Stop and observe is, often, the best way to know the essence of a place. You can also take the opportunity to watch the sunset from one of the ghats or let yourself be embraced by a cow … it is overwhelming! Nothing better than feeling the adrenaline going down some of the “rapids” of the sacred river the Ganges and, in passing, get another perspective of this fascinating city: the Himalayas and the city of scenery on both sides of the river. The first time I saw a stencil (urban art technique, graffiti-type) of a girl in a column hidden in Rishikesh, It is captivating walking through the streets and corners of the city you find more and more hidden in columns, doors, and murals. Tona is a renowned German urban artist known as Tona around the world. Apparently, there are dozens of them … I challenge you to find them all! Yes, as you read it. That a man dressed in “looking for a wally Indian version” -marketing made costumes-with his fully customized case will remove the wax from the ears on the ghat of Rishikesh is priceless (or maybe yes, about 50 rupees). How many times in your life can you live such an experience? 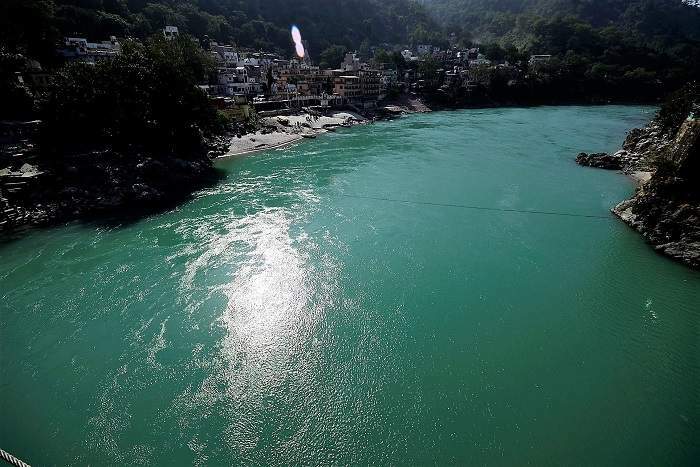 In Rishikesh there are many temples and the most important and emblematic, with 13 floors dedicated to all their gods, especially Shiva, is the Shri Trayanbakshwar -located in Laxman Jhula-. You must climb the stairs of this orange tower, clockwise, to the top passing small altars with statues and offerings to all their deities. Other temples that you can visit are the Govinda Temple also known as the “white” temple of the city or, a little further from the center, the temple dedicated to Shiva: Bhootnath Mahadev from which you can also get beautiful views of the city and of the Ganges. Although there are variants of the tout, they all take you to the Goumukh Glacier – which means: mouth of a cow – where the source of the Ganges River is located. Landscapes that will take your breath away -as well as the trekkings over 4,000mtr that you will have to do to reach it! ♣ If you’re in the mood to taste Home-made cuisine, this is the ideal city for it. The Om Homestay – near the Tapovan- offers breakfasts lunch dinner. ♣ Beware of monkeys, mainly on bridges, which are little thieves … what looks like food will take it away! ♣ Although the cradle of Ayurvedic medicine is located in the state of Kerala, south of India, in Rishikesh you can find many centers where you can make an Ayurvedic consultation and discover this traditional Indian medicine with more than 5000 years of history. Everybody loves to travel and if not they should still definitely do it to find solace or refresh their minds. Traveling alone or traveling with our friends and family always seems pleasant and a necessity at some point in life. Whereas most people like to travel for fun some also like to visit religious areas to maintain peace and have a gentle environment along with their family. 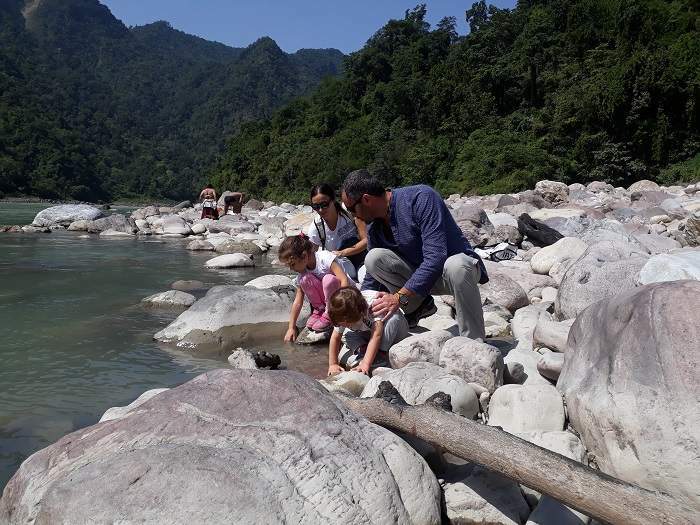 Rishikund is a beautiful tourist spot in Rishikesh. It is located near the Triveni ghat and is considered to be holy. Rishikud is said to be blessed by the Yamuna river and hence the river is considered to be holy. The most exciting part about this location which makes it so popular is the presence of Raghunath temple ten steps away. The Raghunath temple is said to be dedicated to Lord Rama and Sita. It is believed that the visitors can clearly see the image of the temple in the water which makes it a popular tourist attraction. If you are visiting Rishikund you should make sure that you also visit these nearby areas as they are too breathtaking. The two famous temples Lakshman temple and Bharat Mandir are located near it. 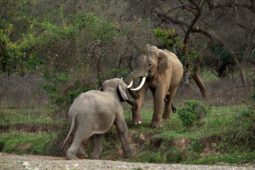 Rajaji National Park located near Rishikund is famous for the bird watching. If we visit in the month of Malmas (which comes once in every three months) a special religious activity called Malmas Mela is performed for the Hindu devotees. Various activities like fasting, Bhagvada Bhakti, worship are some of the thing included. Triveni ghat which is located 0.1kms away from Rishikund is also a very major tourist attraction area. It is a must-see spot located in Rishikesh. It is called the Triveni ghat because of it a conflux of river Ganga, Yamuna, and Saraswathi. Laxman Jhula is a hanging bridge made up of iron which is another crowd pulling spot. It is 3.9kms away from Rishikund. Tera Manzil temple is a complex temple of 13 floors dedicated to all the Hindu gods and goddesses. Although it is 5 km away from Rishikund it is worth the distance. Although a lot more of temples and tourist attractions are present these were some among them. Rishikund is a very popular tourist spot for devotees and religious people. It helps people to loosen and relax their minds. It is a must visit for every believer to increase their religious faith and beliefs. Rishikesh International Film Festival 2019 set to start duly on Monday, 12 March 2019. Foreign and local artists organizing the cultural presentations at the festival. On Monday, six days International Film Festival on Shatrughan Ghat situated in Munisiari. 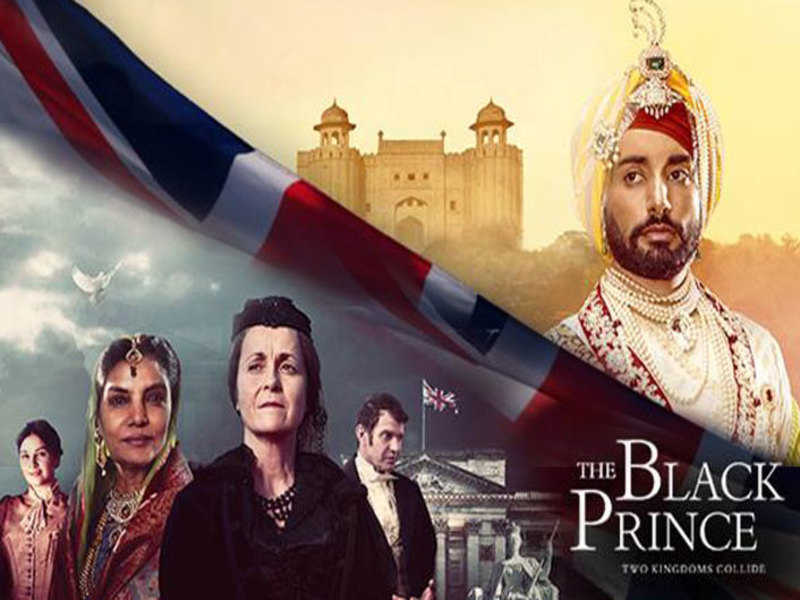 it is said that through the Film Festival, there will be an opportunity to recognize the shared culture of the world cinema and India. Tourism will also be encouraged by such programs. At the beginning of the program, Dancer will represent the India classical Dance. Artists from a different part of the world will perform group dance based on cultural exchange. On this occasion, delegates from the film industry get together to celebrate the Rishikesh International Film Festival. The artists of various groups also give the presentation to the students of Group Dance, Shivanand Music School, dance on Bollywood theme.